co-captains Peter McEvoy (centre half forward) and Ryan Exon (half back flank). at full forward after an impressive showing over the pre-season practice matches. named on-ball alongside Josh Guthrie and ruckman Adam Swierzbiolek. 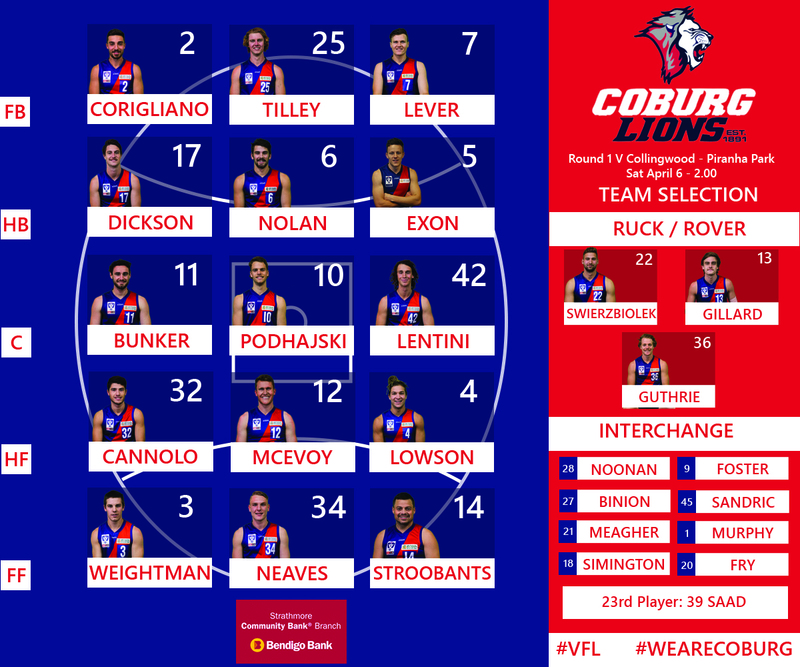 Coburg debut following 74 VFL games with Bendigo and North Melbourne. line for a potential debut also, having been named on the extended bench. Adam won the Lions best and fairest in 2014 and now plays for Essendon in the AFL.